Home Fitness CrossFit Monkey Bars Review! One of the sports that has been tremendously gaining popularity in Egypt is CrossFit; with hundreds of Egyptian CrossFitters competing in the 2016 opens. We dropped by CrossFit Monkey Bars to check it out and were delighted to meet the founder and head coach Riham Masoud who was titled The Fittest Woman In Egypt 2014. What’s great about Monkey Bars is how innovative they are. What we saw very clearly was how friendly and professional the coaches were. They filled the place with good vibes and laughter. 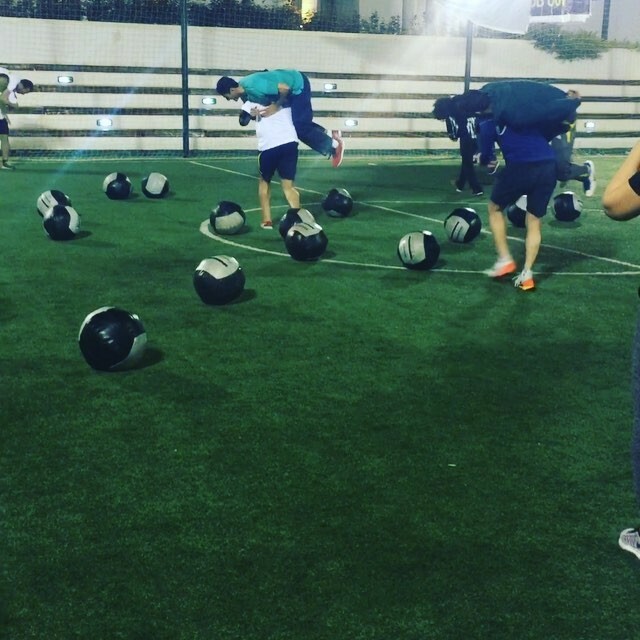 According to Riham, CrossFit will always help you push your limits. She explained how the myth of CrossFit making you bulky is far from being true. She also added that people who hate routines will LOVE Crossfitting because everyday involves a different workout! The vibes, the location, the professionalism of the coaches, and the program’s creativity are all great reasons for you to try out CrossFit Monkey Bars.